In this vlog I’m catching through November, which was very busy month. And I’ve bought two new cameras and bunch of lenses. More about that later. I hope you will still enjoy this eclectic vlog. I’m photographer all my life and I had many darkrooms. If I count only dedicated darkroom spaces, this is my fifth darkroom and with each one I’ve learned something new. This is my dream darkroom. It is functional, well equipped and it looks good, thus stimulating for making some beautiful art. Tomorrow (22.6.2018) I’m publishing the workshop calendar. I could not done it without the help of Anže Grabeljšek , Peter Peterlin and Mateja Gašparin. Thank you! Dear followers, I have another individual workshop that starts in 15 min, so I will be super short with text and not that short with video. I hope you will like it and hit subscribe, like and even consider to become my patreon. Thank you! Uf, this day are fleeing as crazy. I’ll try to make short posts with lots of images. With Miša Keskenović we had a workshop of Wet Plate Collodion in Trieste and few days later I had a demonstration of Wet Plate Collodion photography in Maribor. 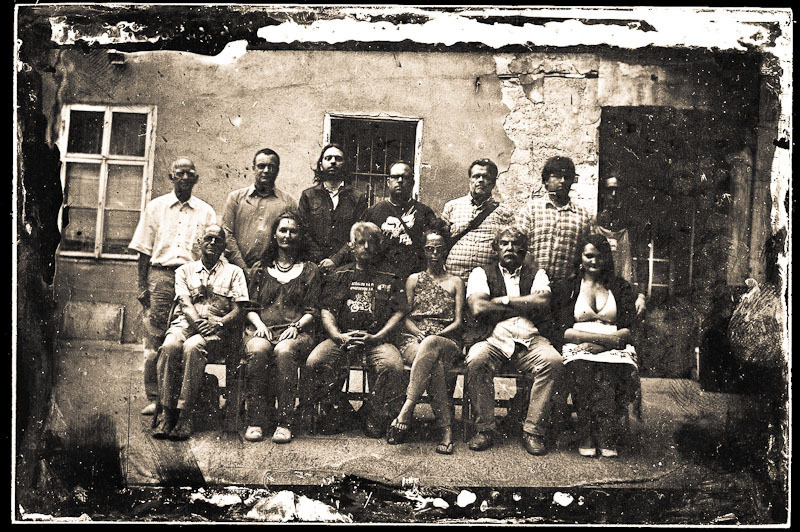 Last but not least I’m running a class on collodion photography on VIST college. What I am trying to say is that my life is evolving around Wet Plate Collodion photography and I must say I’m enjoying immensely. It just takes so much time… Today I started to work on a real proper photographic personal project and in four hours I’ve shot like four perfect photographs. It takes a lot of time and patience to make it perfect, but that’s as I call it zen thing. With Miša we have next workshop on Fotopub festival in Novo mesto, Slovenia between 25 till 28 of July 2012. It’s going to be for four days and we accept only 10, maximum 12 people, no more! The fee is 250EUR and that includes material costs. Hurry, I know this will be sold out before the deadline.